Last year our Juniper Systems team was determined to make significant improvements to the rugged and affordable Cedar product line. By maintaining all business processes within the walls of our Logan, UT office, I was able to work personally with a newly-assembled product team devoted to the sourcing, sales, purchasing, testing, and support of these new Cedar products. With this team, our results for these products completely exceeded our expectations. In the early stages of outlining potential product features, I researched several success-related factors including, outdoor display visibility, quality and size, battery life, durability and ruggedness, design, Android OS capabilities, and component quality, to ensure an unbeatable product. This research included the ability to integrate most relevant US cell brands, verify satellite connectivity, test 4G LTE speeds, and successfully pass FCC and CE certifications, and the results did not disappoint. In addition to the highly competitive price point and one year warranty, we ended up with some pretty impressive product features. One of my personal favorites on the CT5 rugged smartphone is the PTT button. This allows users to download Zello’s free Google play app and quickly set up a push-to-talk button or screen touch over both cell and WiFi networks. We played around with this feature extensively. Trust me, it’s wicked cool. Other features include Corning Gorilla Glass 3, IP68 protection against dust and water, 4500 and 7500 mAh batteries, dual SIM card slots, and an additional storage SD slot. I tested both the CT5 smartphone and CT7G tablet with the Juniper Geode sub-meter GPS receiver and several ESRI apps, they’re solid. As a product manager, I’m extremely passionate about developing an understanding of customer needs from the early stages of development, to the finished product. I’ve made it my goal to constantly visualize what our clients are experiencing when purchasing a Cedar product. With these particular products, I decided to go undercover. I wanted to see exactly how easy, or difficult, it was to setup and use this product. 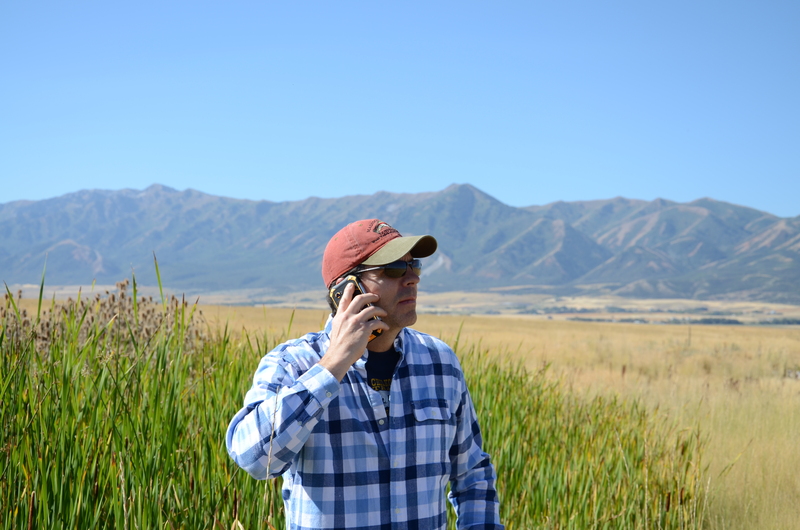 After requesting a CT5 demo, I jumped in the car with my new CT5 rugged smartphone and drove to a local cell provider. The process of finding the best SIM option for BYOD was easy and seamless. After purchasing a phone plan, I headed back to the office for assembly. Following the instructions provided, I used the included screw driver to remove the back cover and insert my SIM. I fired up my new phone and it felt like Christmas all over again. I selected the pop-up SIM choice and activated the cell data toggle switch from the settings menu, and it was ready to go. After calling myself and having an extremely one-sided conversation, I was confident my CT5 4G-enabled rugged smartphone was ready for regular use. By providing myself with the full customer experience, I was reassured of the simple setup and out-of-the-box readiness these products were designed to have. I hope you’re enjoying our new Cedar products as much as I am. 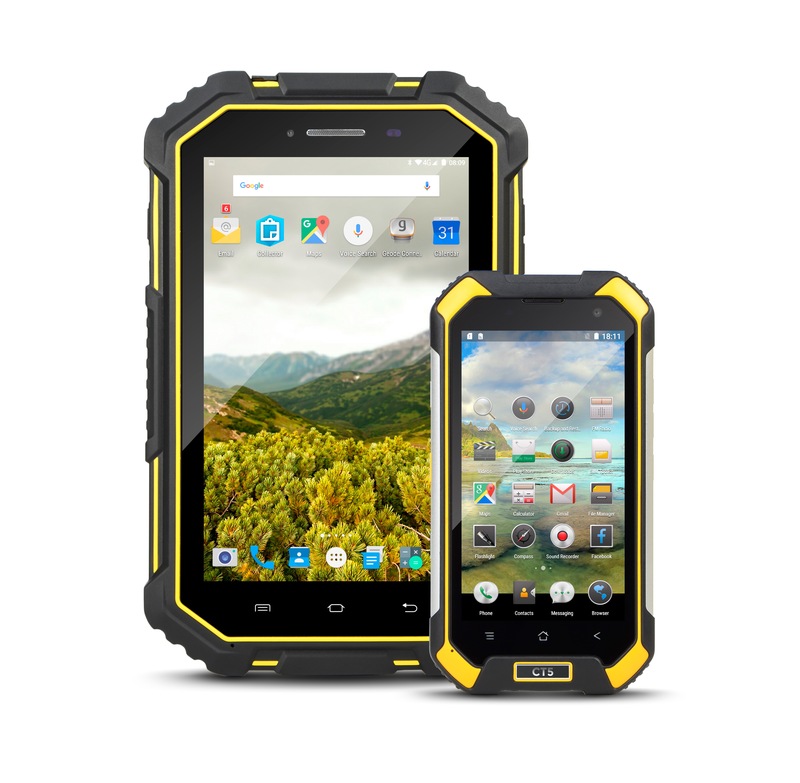 To learn more about the CT5 rugged smartphone and CT7G rugged tablet visit our Cedar products page at http://bit.ly/2ls4H89. I’ve been working in worldwide environmental science applications for over 20 years now and as the Juniper Systems Cedar Product Line Manager for over a year. I enjoy the satisfaction that accompanies creating quality products for our customers. I am passionate about finding a solution that fits the individual needs of each customer. Outside of work I enjoy photographing wildlife, training Golden Retrievers, and spending time camping and hiking. Jed, I share your enthusiasm for the Cedar CT5. The device is rock-solid, has a great screen, looks and feels terrific, and is certainly a great addition to Juniper’s Cedar line. I, too, tested phone/data functionality by getting a SIM. Since we frequently move SIMs from one unlocked device to another for product review, I ended up getting a $10 GoPhone kit that comes with a nano SIM card and adapters for use in micro and standard SIM devices. I had thought there might be prepaid SIMs like there are prepaid phones, but apparently you still have to set up some sort of account. With the (AT&T) GoPhone I can prepay the monthly fee and then top the balance off via credit card or prepaid card. I’ve now had the SIM in three devices, including the CT5. Each recognized the SIM without any problem, and without requiring anything other than inserting the SIM. I also tried Zillo and that wrks great as well on the CT5. 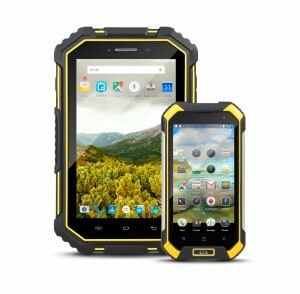 Thanks for reviewing the CT5 rugged smartphone and providing supportive comments, it’s nice to know I’m not biased on the quality of these products. I also appreciate your effort to test other SIM cards. I get asked about data plans a lot, so I’m happy to hear you had a positive experience. My current unlimited talk and text T-Mobile plan is only $40 a month with 3 GB of data. Almost everywhere I’ve traveled over the past 2 months has provided 4G LTE connection and speeds. At a recent outdoor conference in California we hit some inclement weather, but the CT5 hotspot and waterproofing helped us out of a presentation tight spot. Thanks again for your feedback. Keep it coming! If you would like to read Conrad’s review of the Cedar CT5 and CT7G on Rugged PC Review, I’ve included the links below.